Northeast US Food Blogs List. The Best Northeast US Food Blogs from thousands of Northeast US Food blogs on the web using search and social metrics. Subscribe to these websites because they are actively working to educate, inspire, and empower their readers with frequent updates and high-quality information. Northeast US Food newsletter is a comprehensive summary of the day's most important blog posts and news articles from the best Northeast US Food websites on the web, and delivered to your email inbox each morning. To subscribe, simply provide us with your email address. Philadelphia About Blog Food news and dining guides for Philadelphia. Facebook fans 14,607. Twitter followers 22,452. Portland, Maine About Blog Food. Drinks. Music. Outdoors. Find the must-do event of the weekend - and anything else worth doing in Maine. Facebook fans 13,571. Twitter followers 31,063. Providence, RI About Blog Hi, I'm Patty J, founder of PattyJ.com, a RI based lifestyle blog. Here, I will share experience in trying cuisines of food in Rhode Island. Follow this blog to get update about food and different places to try food. Facebook fans 3,343. Twitter followers 1,082. Pittsburgh, PA About Blog Good Food Pittsburgh is an online magazine that shares news and tells stories about the people, places and events that make up Pittsburghs thriving food community. It provides information about what is happening in and around the city, from restaurant openings and event previews, to in-depth profiles on the chefs, restaurateurs and food producers in the area. Facebook fans 29,756. Twitter followers 4,578. Portland, Maine About Blog Portland Food Map is a blog which is the definitive guide to Portland's food scene in Maine. Facebook fans 40. Twitter followers 4,962. Worcester, MA About Blog Worcester Magazine is an alternative weekly newspaper that serves Central Massachusetts about Food to eat, review and many more. Facebook fans 23,052. Twitter followers 12,934. Rockport, Maine About Blog Down East Magazine is the ultimate resource for living in Maine and enjoying the hikes, beaches, food and events for locals and visitors in Maine. Facebook fans 70,792. Twitter followers 31,660. Facebook fans 660. Twitter followers 2,157. Boston, MA About Blog Discover food and wine festivals, restaurant weeks, country farms, cozy inns, recipes, books, cooking classes and more. Facebook fans 689. Twitter followers n/a. Philadelphia About Blog I'm a self-proclaimed food addict who features his latest fix on a Philly Food Blog. This Philly Food Blog focused on Philadelphia Restaurants. Facebook fans 85. Twitter followers 616. Rhode Island About Blog Rhode Island Monthly is your guide to all there is to eat, see and do in the Ocean State. Topics of conversation include Rhode Island restaurants, Food to eat, places to visit to try different cuisine of food,etc. Facebook fans 35,478. Twitter followers 68,804. Philadelphia, PA About Blog PhillyBite Magazine showcases Philly's Food, Review, Foodie News and more. Facebook fans 2,847. Twitter followers 69,254. Portland, ME About Blog The monthly magazine covering everything to where and what people are consuming in and around Portland, Maine. Facebook fans 16,199. Twitter followers 353. Facebook fans 432. Twitter followers n/a. Maine About Blog The Maine is a blog that focuses on the life and culture of Maine, an Independent thinking people, food, music, art, adventure. Facebook fans 1,045. Twitter followers 53. 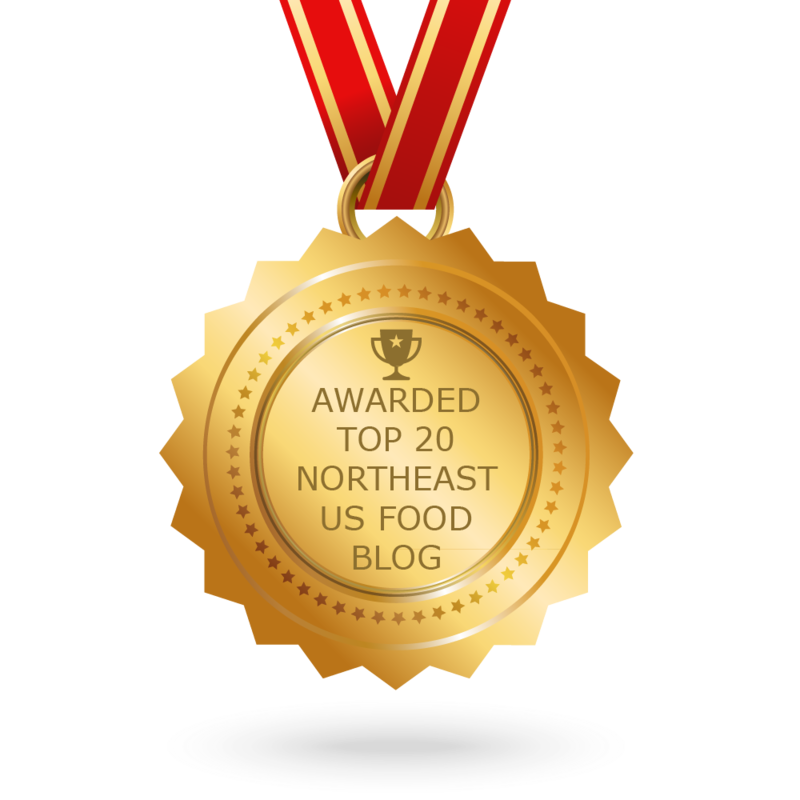 CONGRATULATIONS to every blogger that has made this Top Northeast US Food Blogs list! This is the most comprehensive list of best Northeast US Food blogs on the internet and I’m honoured to have you as part of this! I personally give you a high-five and want to thank you for your contribution to this world.